I am delighted with my polytunnel being able to work in all weathers is wonderful. 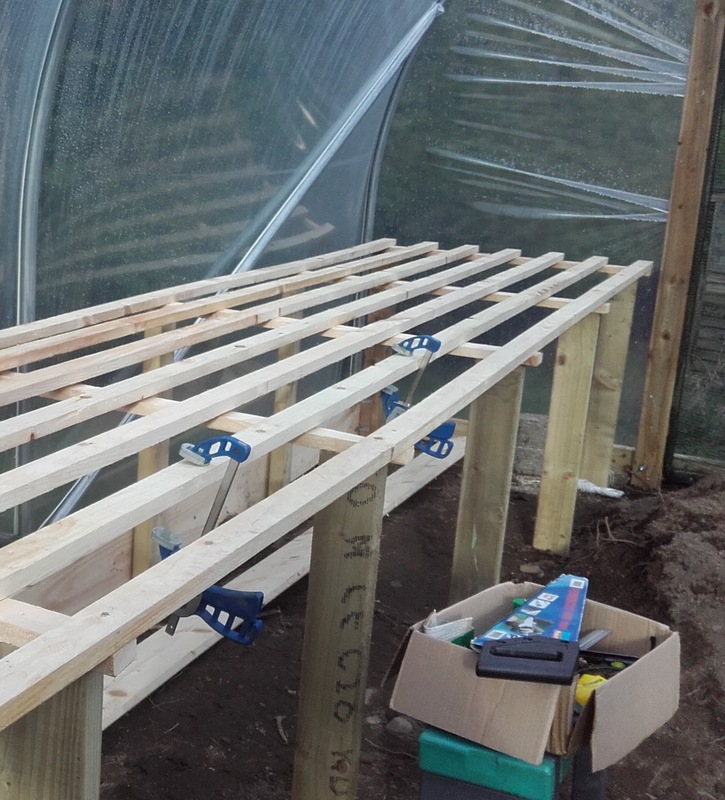 Like many gardeners I have back problems so high level beds are essential. And if you build them yourself you can get them tailored to your needs. I started with the front and back supports, these were buried in the earth. 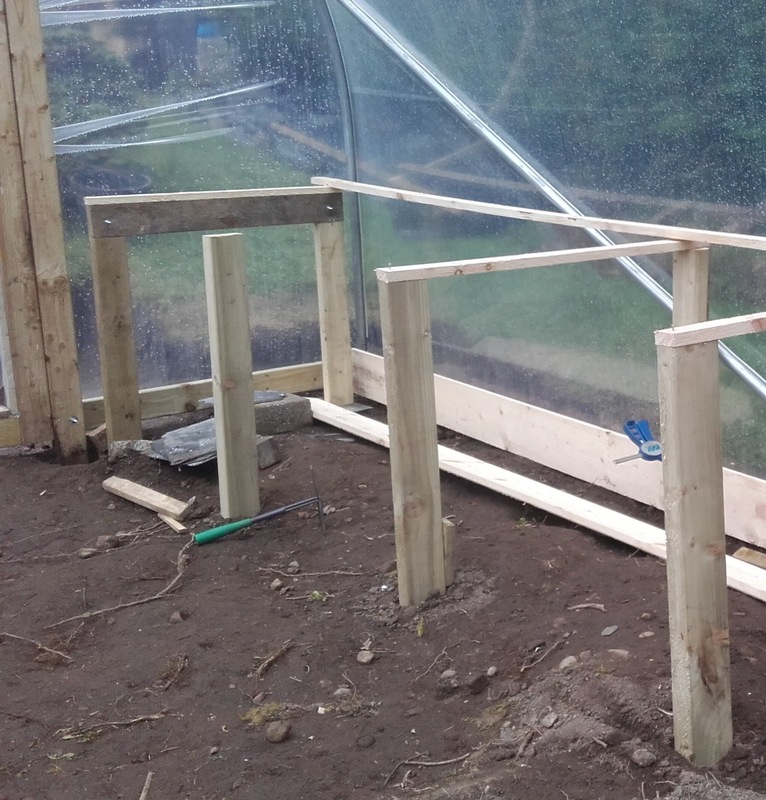 Then I added cross pieces to hold them upright and to support the 'shelf'. 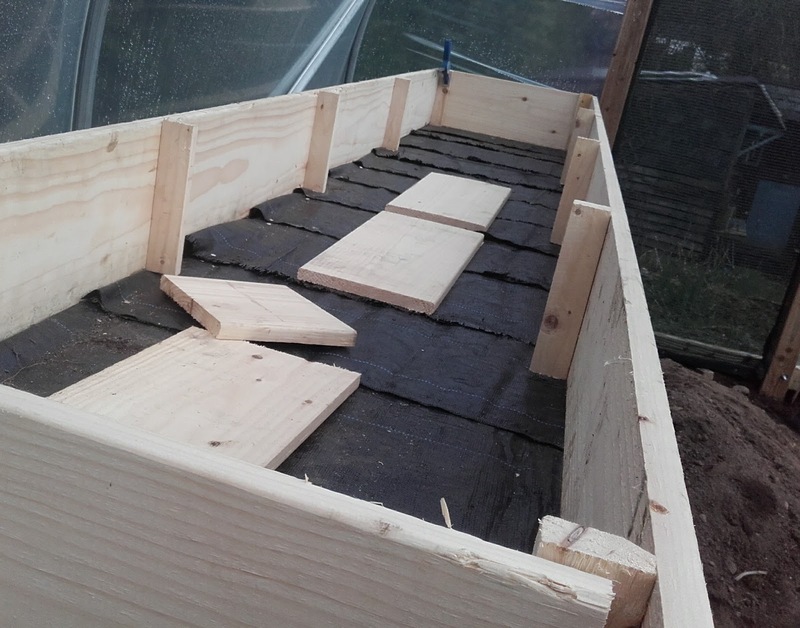 I then added the wood slats running the full length of the tunnel. Wide boards, fixed at the corners, made up the boxes. Divisions fixed again at the corners were put in every 92 cms. the first box filled with soil. 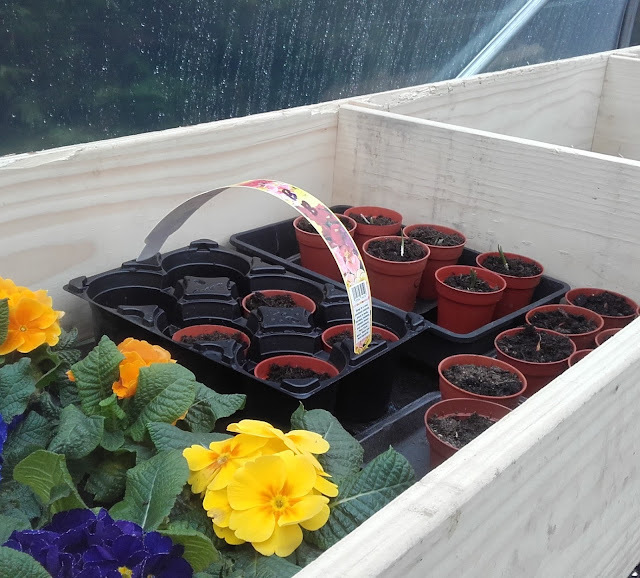 An empty box with seeds sown in pots. 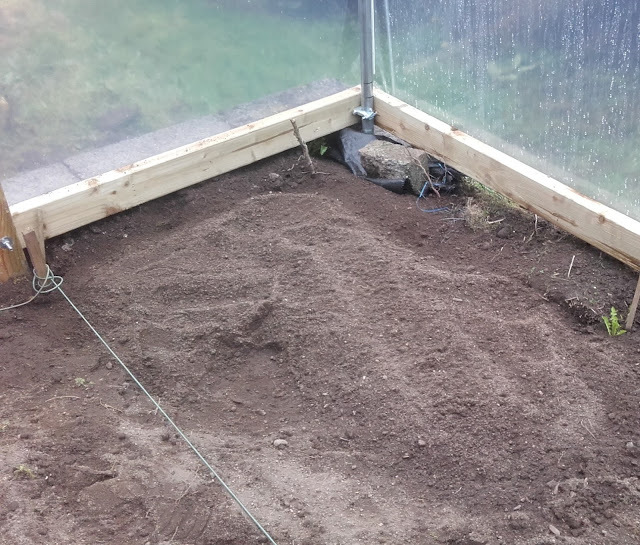 On the other side of the tunnel I only did the staging half way and left the end to grow tall vegetables like runner beans and peas. 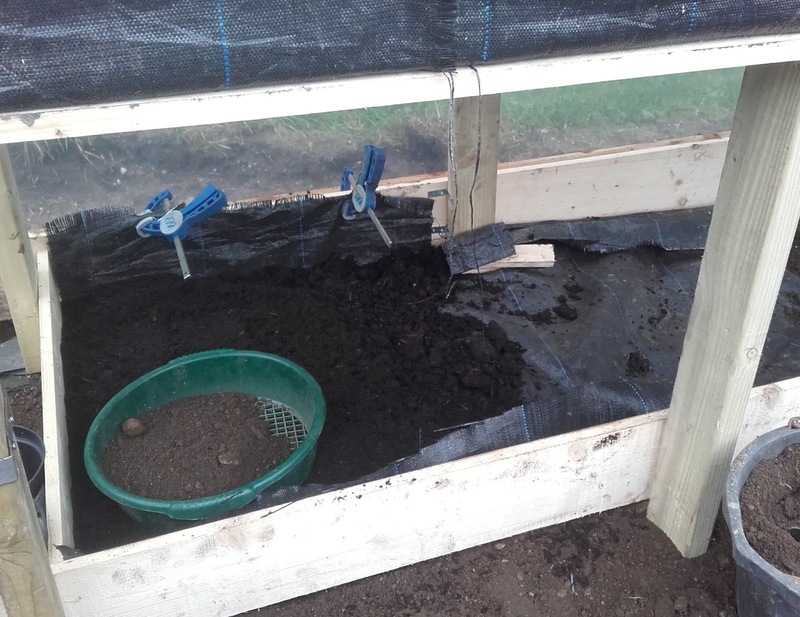 The bottom of the staging being filled with soil ready to plant out courgettes, squash and brassicas. 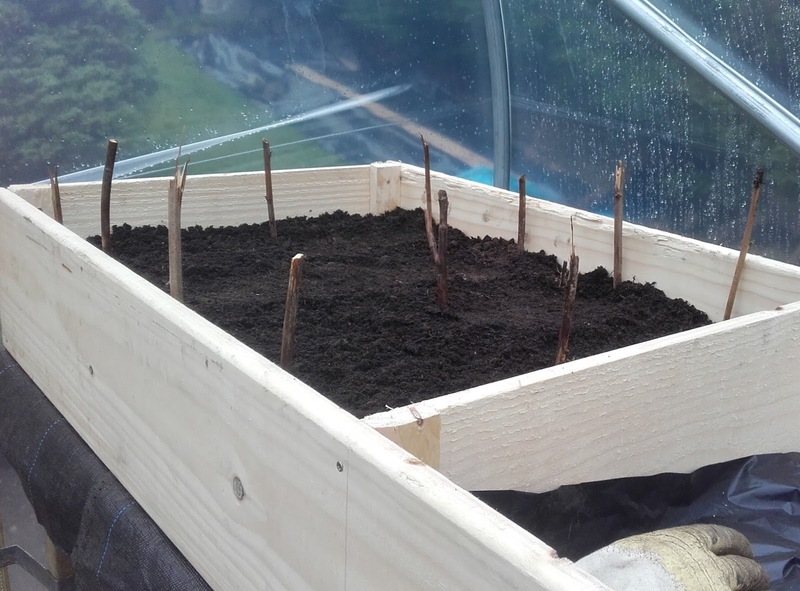 That's all for now, watch out for Gardening in a Polytunnel 3! My first bag made from recycled jeans! The Original Bag Lady...another handmade bag! unique handmade jewellery 2012. Awesome Inc. theme. Powered by Blogger.